Nike Slingshot Tour Hybrid #2 18° RH Stiff. Condition is Used. Dispatched with eBay delivery – Shutl 1 day. Excellent condition, not used that much since buying from new. Comes with HC. Diamana Tour stiff shaft. Fubuki Z70 Stiff flex. Nike Vapor 3 hybrid. New Golf Pride Tour Wrap grip. Left Handed Nike Vapor Flex. 17-21 Degree 3 Hybrid. ALL-WEATHER NIKE GRIP. VERY EAST TO USE HYBRID. 23 DEGREE LOFT. SORRY NO HEAD COVER. NIKE VAPOR FLY 3 IRON HYBRID. ALL-WEATHER NIKE GRIP. SORRY NO HEAD COVER. 20 DEGREE LOFT. NIKE STIFF FLEX GRAPHITE SHAFT. 20 DEGREE LOFT. SORRY NO HEAD COVER. HIGH LAUNCH. Project X 6.0 stiff flex graphite. Head - 6.5, shaft - 7, grip - 7. Right Handed. SUPERB NIKE VR PRO 2 HYBRID, 18’ LOFT, STIFF FLEX PROJECT X 6.0 GRAPHITE SHAFT. Left Handed Nike Vapor Fly. 20 Degree 3 Hybrid. Lincs Golf. DIAMANA STIFF FLEX GRAPHITE SHAFT. NIKE HEAD COVER. 17 DEGREE LOFT. 100 PERCENT GENUINE. Nike Covert VrS Tour 17-21 Degree Hybrid. Shaft Kuro Kage 80g. Model Covert VrS Tour. Grip Nike Tour Velvet 360. Flex Stiff. Head: 6 - Fair Shaft: 7 - Good Grip: 7 - Good. Club Type Hybrid. Loft 17-21 Degree. Shaft Kuro Kage 70g. 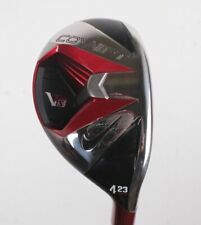 Nike VRS_Covert 2.0 Left Handed 20 Degree Hybrid. Flex Stiff. Club Type Hybrid. Loft 20 Degree. Shaft Material Graphite. Grip Golf Pride Tour Wrap. Shaft Flex - Stiff (S). Grip - Nike. Loft - 20 Degree. Head cover - No Cover. Head Condition - 5 Fair. STIFF FLEX TENSEI GRAPHITE SHAFT. NIKE ALL WEATHER GRIP. MATCHING HEAD COVER. Model: vrs covert 20 degree #3 hybrid. Shaft: mitsubishi rayon kuro kage 70g. Flex: stiff. Shaft Material: graphite. We specialise in the sale of affordable new golf balls and lake golf balls. Other deals available include a wide range of clearance apparel, footwear and accessories. NIKE VAPOR SQ 6 IRON HYBRID. AND NIKE HEAD COVER. ALL-WEATHER NIKE GRIP. 30 DEGREE LOFT. Shaft Diamana. Nike SQ Sumo 2 Left Handed Degree 20 Degree Hybrid. Model SQ Sumo 2. Flex Stiff. Head: 7 - Good Shaft: 7 - Good Grip: 7 - Good. Club Type Hybrid. Loft 20 Degree. Shaft Material Graphite. Nike Vapor Speed Left Handed 20 Degree Hybrid. Model Vapor Speed. Flex Stiff. Head: 7 - Good Shaft: 7 - Good Grip: 7 - Good. Club Type Hybrid. Loft 20 Degree. Shaft Material Graphite. Shaft Accel-Arc. Fitted with an Aldila Voodoo SVR8 Stiff Flex Graphite Shaft. Nike VR Hybrid. Standard Nike Grip Grip. No.3 Hybrid - 21 Degree Loft. Great Diamana Tour Stiff Shaft. Nike Slingshot Hybrid 1. STIFF FLEX KURO KAGE 70 GRAM GRAPHITE SHAFT. SORRY NO HEAD COVER. 20 DEGREE LOFT. ALL WEATHER GRIP. Shaft Diamana 80g. Nike Vapor Speed Left Handed 20 Degree Hybrid. Model Vapor Speed. Flex Stiff. Head: 7 - Good Shaft: 7 - Good Grip: 7 - Good. Club Type Hybrid. Loft 20 Degree. Shaft Material Graphite. STIFF FLEX DIAMANA SASQUATCH GRAPHITE SHAFT. LEFT HAND NIKE SQ SUMO RESCUE HYBRID. #3 HYBRID / 21 DEGREE. SHAFT- 7/10. HEAD- 6/10. Shaft NSPRO950GH. All clubs are preowned Japanese models with Japanese specifications. For instance, Japanese models may have greater torque and softer shafts than US models. Product lines may have been discontinued and manufacturers specification information may be scarce. Model CPR3. Shaft CPR Graphite. ShaftCPR Graphite. All clubs are preowned Japanese models with Japanese specifications. For instance, Japanese models may have greater torque and softer shafts than US models. Shaft KUROKAGE SILVER 80. ModelVr S COVERT TOUR. All clubs are preowned Japanese models with Japanese specifications. For instance, Japanese models may have greater torque and softer shafts than US models. Model CPR3. Shaft CPR HYBRID. All clubs are preowned Japanese models with Japanese specifications. For instance, Japanese models may have greater torque and softer shafts than US models. Product lines may have been discontinued and manufacturers specification information may be scarce. Shaft MitsubishiKuroKage(US model). ModelVr S COVERT. All clubs are preowned Japanese models with Japanese specifications. For instance, Japanese models may have greater torque and softer shafts than US models. Nike SuMo sq hybrid 3. When developing the SuMo square iron and hybrids were beginners and mid-range handicapper in the focus. Nike SuMo sq hybrid H3. with stiff graphite shaft Flex, for Left-hander. ALL-WEATHER NIKE GRIP. 25 DEGREE LOFT. VERY EAST TO USE HYBRID. SORRY NO HEAD COVER. ALL-WEATHER NIKE GRIP. 28 DEGREE LOFT. VERY EAST TO USE HYBRID. SORRY NO HEAD COVER. ALL-WEATHER NIKE GRIP. 21 DEGREE LOFT. SORRY NO HEAD COVER. ONE OF THE BEST HYBRIDS EVER MADE. ALL-WEATHER NIKE GRIP. 24 DEGREE LOFT. SORRY NO HEAD COVER. ONE OF THE BEST HYBRIDS EVER MADE.